We don’t know how to fund swarms. We know how to fund organizations. But a vibrant movement calls for swarm moments. Highly adaptive self-organizing allows for the most effective response in a world that has become too complex for our planning paradigms. Everything is changing. If you are holding on too tightly, this is a good time to loosen than grip. Is there anything we can do to heighten our movement’s capacity to swarm? Our organizations and our funding structures too often serve to trap our talent – not to facilitate it. Is there anything we can do to make it more possible for our activists and organizers to effectively swarm at the most unexpected moments? Certainly we can work towards evolving our models of reality. We can move away from our industrial mindset. And we can begin to see ourselves as part of a complex and interconnected system. We can shift our perspective. But that’s easier said than done. We are deeply conditioned. – Seeks diversity of knowledge – really, actually, seeks knowledge that does not currently exist within or around the organization. What do you have to stop doing so that your people can connect to diverse sources of knowledge? – Allow for small contributions – how can we make it easier for more people to do something – anything – that matters. I’m not just talking about a vote, a phone call or a letter of support. I’m talking about small expressions of direct action. – Pay attention to the nearest neighbor – how do we breakdown current boundaries so that we can heighten self-awareness in the places and communities where we work? We are more connected than we’ve ever been. We can create the conditions that allow us to swarm. We can experiment. We can learn. Thank you for this thought Gibrán. I have been amazed by how much community and diversity is present in movements like this. It seems to me that to support social innovation we will come to learn how to allow both structures and swarms to be around and collaborate. thanks Augusto, I look forward to reading this piece and YES! Structure is still of the essence! 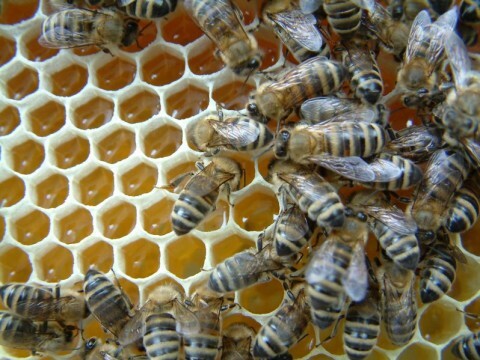 I think of learning to swarm as an evolutionary step, one that “transcends and includes” structure. We need structures that make it possible for us to swarm as needed. Darauf beruht doch die ganze antideutsche Ideologie, das Kriegsverbrechen gegen Zivilisten, in gute Massaker verwandelt(durch pseudoreligiÃ¶se BeschwÃ¶rungen) werden, weil es nur Deutsche waren, die es verdient haben.Diese Entmenschlichung des Feindes ist Ã¼brigens eine alte Nazi Methode, damit die Grausamkeit besser flutscht. This makes writing a novel actually achievable! Great read. I liked hearing about not just the technical details of how, but also the social aspects. And your picture with the Kindle is great. Now I have to go to your blog and see if I can find where to get the novel you wrote. Thanks!